AltEnergyMag.com has once again partnered with SPI 2015 to bring all the industry news and exciting new products to help our readers make sense of this key industry event. Here we have compiled a list of some product releases from this years show. This years show took place September 14 -17 in Anaheim, CA. Over 15,000 + visitors are expected in attendance to learn about the latest technology innovations, financing models, business best practices and policy and incentive programs that are contributing to the growth of the solar industry. With over 600 exhibitors from 75 countries on display showcasing the entire system of solar technology and advances in solar cell and module technology, balance of system components, solar heating and cooling and energy storage. SPI brings the full range of industry ideas, experts, professionals, and information together in one comprehensive event. As a media partner AltEnergyMag.com is covering Solar Power International 2015, bringing the industry news and product launches to help our readers make sense of this massive event. Make sure to check out our special SPI 2015 Newspage for Exhibitor news. Here we have compiled a list of some product releases from this years show. 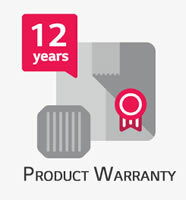 LG offers new warranty statement to provides the enhanced performance warranty. The initial degradation has been improved from -3% to -2%, and the annual degradation has also changed from -0.7%/yr to -0.6%/yr. Even after 25 years, the cell guarantees 2.4%p more output than the previous NeON™ modules. EcoFasten Solar will officially launch their newest product, SimpleGrip, a solar roof mount solution for low-slope roofing. SimpleGrip has been tested in accordance with AC 286 and ASTM D1761-06, and like all of the products in the EcoFasten Solar line, SimpleGrip is fast and easy to install, and will allow your next low-slope project to be straightforward and hassle-free. The SimpleGrip mount can also be used with EcoFasten’s rail-free Rock-It System in conformance to UL 2703. EagleView Technologies offers Pictometry® Intelligent Images® and analytical tools for accurate pre-contract assessment. The high-resolution images provide top-down, north, south, east and west views to easily identify shading and roof obstructions. With image libraries covering the U.S. and Canada, neighborhoods in any geographical area can be evaluated right from the desktop. 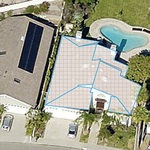 After the sale, EagleView Solar Roof Reports use patented, 3D technology to deliver detailed measurements including orientation, tilt and total square footage and provide CAD files that can be imported into existing workflows for precise solar design and installation. FlashGuard shingle flashing designed by installer, guaranteed to protect against roof leaks. The simple, yet feature rich FlashGuard flashing system is being launched at Solar Power International by Advanced Racking Solutions, (ARS) exhibiting in booth #343. ARS specializes in mounting systems for pitched metal and shingle roofs and offers VICERACK tilted mounting for low pitch metal roofs. 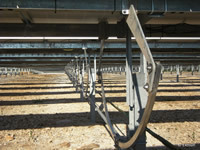 With over 20MW of projects delivered Advanced Racking Solutions mounting maximizes rooftop pv output. The new AMP Clamp™ by DPW Solar is an integrated grounding mid clamp that eliminates the need for additional module grounding hardware. The underside of the AMP Clamp features multiple protrusions designed to break the anodized coating of the module frame. The unique pattern of wide teeth provides increased contact with the module frame. Third party tested and certified to UL requirements, the AMP Clamp also features the patented RAD™ hardware for a lock-in-place twist bolt installation. AMP Clamp’s simplicity adds value by reducing parts, time, and labor. The AMP Clamp is DPW Solar’s latest addition to the popular Power Rail™ family of residential and commercial solar racking systems. PowerGrip Plus, from OMG Roofing Products, is watertight, easy-to-install, provides a secure connection directly to the roof deck or structural members, thereby taking the wind load off of the membrane or roof cover and onto the structural deck where it belongs. Once heat welded in place, properly installed PowerGrip Plus units can help to eliminate rack movement that can damage commercial roofing systems. With 2,000 lbs. of tensile strength and 1,075 lbs. of shear strength, PowerGrip Plus is designed for use with ballasted solar racks as well as other rooftop equipment on roofs covered with thermoplastic (TPO and PVC) roofing membranes such including pipe supports, crossovers, electrical conduit, satellite dishes, HVAC equipment and more. Exosun launches a new version of its utility-scale single-axis solar tracker, Exotrack HZ v.2, engineered to deliver the lowest LCOE to its customers. Very flexible, it is a genuine revenue booster for utility-scale solar plant owners, developers and EPCs. Thanks to its short rows, Exotrack HZ v.2 smoothly follows undulated topography, drastically decreasing land grading works. Optimized DC wire management allows to reduce wiring costs by 50% compared to other single-axis trackers. Renewable energy advanced deep cycle AGM batteries providing off grid and grid tied power. Drawing on years of experience manufacturing valve regulated lead acid maintenance free FAA certified aircraft batteries, Concorde Battery Corporation developed Sun Xtender’s advanced deep cycle technology in 1994 to meet the demands unique to renewable energy storage systems. Combining rigorous aircraft battery quality and performance standards with characteristics key to renewable energy storage solutions results in superior reliability, service and extended deep cycling life. This is experience you can trust. Array Technologies, Inc. is proud to announce a (r)evolutionary new solar tracking product exclusively designed for utility-scale power plants. The DuraTrack® HZ v3 combines 25 years of engineering experience and customer feedback with innovative patent-pending features found nowhere else in the industry. Featuring a 6% advantage in power density over our closest competitor and the fewest number of motors and controllers per MW, DuraTrack HZ v3 is engineered for rapid deployment with zero scheduled maintenance over the 30 year design life of the product. Track us down at booth 4905 to learn more about this ground-breaking system. Integrated grounding made easy! TRA Snow and Sun introduces pre-assembled Mid Clamp and End Clamp Assemblies that easily clip into the top channel of the Power Rail and slides along the rail for easy adjustability. Mid Clamp and End Clamp Assemblies allow for variable module heights. FlexRack Series B is a ballasted system designed for landfills and other areas where ground penetrations are not permitted. The FlexRack Series B offers a cast in place option designed to meet project specific requirements. The form assembly can be completed by a 2 person crew in under 3 minutes. The CIP form ships flat as one single unit creating a very economical shipping method. Form is simply folded in place on the jobsite. Internal form bracing is easily set in place through prefabricated slots in form and bent tabs are hammered down on the outside of the form to secure bracing. 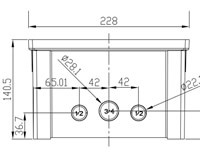 The posts/channels are easily adjusted vertically within the form and slots in cross braces allow supports to be installed plumb on uneven terrain. Joyce Motorized tracking jacks are currently in high demand in commercial and utility installations around the world. 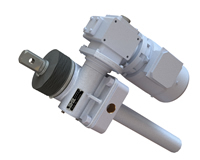 Their compact design includes a motor/reducer mounted directly to the jack housing. The trunnion mount and clevis end make installation simple. Corrosion resistant features include Joyce’s exclusive outdoor paint process, stainless steel hardware and screw end condition. Typical travel distances are 48-56 inches with travel speeds up to 3.5 inches per minute. Load capacities range from 2-tons to 50-tons. Motorized jacks are highly durable and require low maintenance. 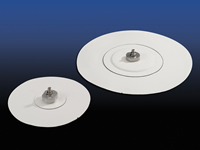 They have stood the test of time under rugged conditions in the solar and antenna industries. Cost effective, easy to install and reliable, our motorized jacks provide proven value to customers around the globe. Since 1873 Joyce has been exceeding customer expectations for quality products and responsive service. Specifically designed to deliver unparalleled capacity and provide increased Amp-Hour over the current Rolls Renewable Energy range, the new 2 Volt 2 YS 62P model offers 4860 AH capacity in a durable, dual construction case design. Joining the Rolls 5000 Series model line-up, the new 2 YS 62P doubles the delivered Amp-Hour rating of the popular Rolls 2 YS 31P model, providing significant storage capacity for large-scale off-grid and grid-tied applications. The 2 YS 62P adds to the broad range of long-term, dependable power storage options from Rolls Battery and is backed by an industry-leading warranty, offering customers a versatile, high capacity 2 volt solution for use in a variety of applications and voltage configurations. High payload for multiple and / or heavy instruments: The high precision gear drive system requires no maintenance and is much more powerful than the belt drive system of the SOLYS 2. The maximum payload is increased to 80 kg and the torque is raised to 60 Nm, allowing SOLYS Gear Drive to carry multiple and/or heavy instruments and other loads. The integrated GPS receiver automatically configures location and very accurate time information upon installation. Smart software for real-time status information: The included user interface software allows remote monitoring and logging of the tracker status, sun zenith and azimuth angles, GPS time and date and more. The software can also be used to set the communication parameters such as fixed or manual IP address and baud rate. The integrated Web Interface can be used to visualise (get and set) operational parameters, download history log files or upload new firmware when available. 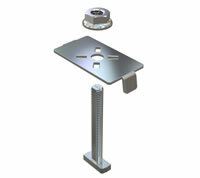 The Sigma Steel one-post ground mount combines the strength of aluminum with the strength of steel. 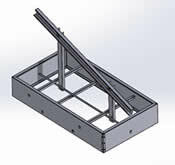 The cold rolled steel profiles allow connections anywhere along the module beam or rafter; no predrilled holes or slots required. Click, set, and done Clickstone module clamps provide integrated electrical bonding and a clear path to ground. The system is designed for wide variety of terrain, slopes up to ±10° East-West, and provides tilt angles between 5°-45°. Sigma Steel boasts of uncompromising corrosion protection due to its self-healing Magnelis® coating. Minimal part counts, shared hardware, and engineered flexibility make the Sigma Steel the right choice for cost effective commercial to utility scale ground mount installations. 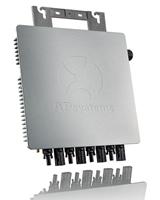 The YC1000 from APsystems is the industry’s ﬁrst true 3-phase solar microinverter, handling 277/480 and 208 grid voltages with 900 watts maximum output, ZigBee communication and an integrated ground. Purpose designed and built for commercial installations, one YC1000 handles up to four PV modules, simplifying your installation and significantly lowering costs. Up to 11 units (44 modules total, 60- or 72-cell) can be linked in a single 15A circuit. Fibox wins with a Knock Out! Select ARCA Enclosures are now available with pre-scored knock outs! Fibox has the industries only JIC, NEMA 4X non-metallic enclosure with knock outs. Sized at ¾ and ½ inches these pre-scored knock outs provide easy modification in the field or factory floor while still retaining its' high impact-resistance and durability enabling them to retain their NEMA 4X status. Fibox’s new ARCA non-metallic enclosures provide users of classic electrical junction boxes an easy upgrade path to a high performance enclosure featuring 21st century technology. Precision, injection molded, ARCA enclosures feature excellent chemical resistance and the wide temperature utilization range of polycarbonate plastic. Available in classic JIC sizes, these enclosures feature industry standard dimensions and panels. The new AllEarth L20 Solar Tracker utilizes the proven pole-mounted tracking system by AllEarth by enabling higher power 72 cell modules, increasing the tracker advantage, while reducing material use and hardware costs. The L20 will be available as a complete package to installers and developers in January 2016, allowing the product to be quoted now for project development. The new landscape orientation option also improves wind loading, increases the height of the bottom row of panels from the ground, and is visually appealing in the landscape orientation, particularly for residential uses. The AllEarth Solar Tracker uses innovative GPS and wireless technology to follow the sun throughout the day, producing up to 45 percent more energy than rooftop solar. The company has manufactured and installed over 3,300 solar tracker systems used for residential and commercial installations.